Naturally Slim, Shape and Tone areas including waist, hips, thighs and upper arms. 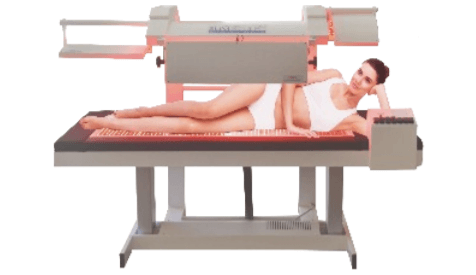 In addition to our State of the Art LED Sculpting Bed, we use the #1 Rated Professional State of the Art 3-D Body Scanner. With your image, you will receive extremely accurate measurements of 21 body parts, giving you a variety of health reports and precise comparisons from each time you are scanned. Slim Sculpt, Now at Select Sundays Locations.